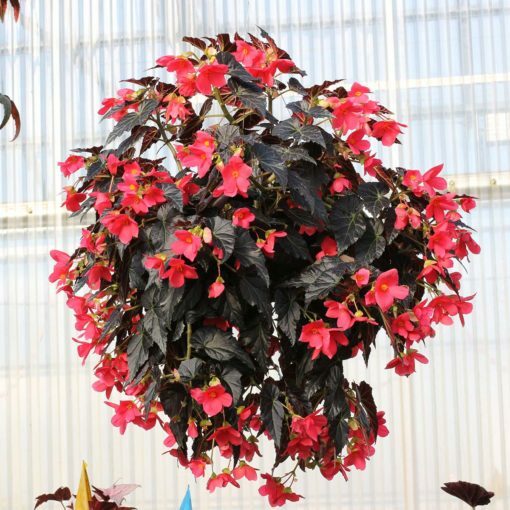 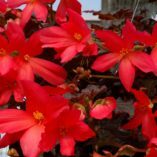 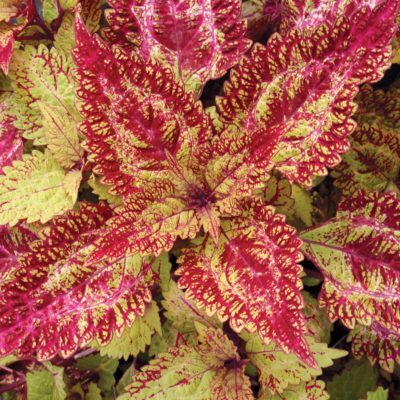 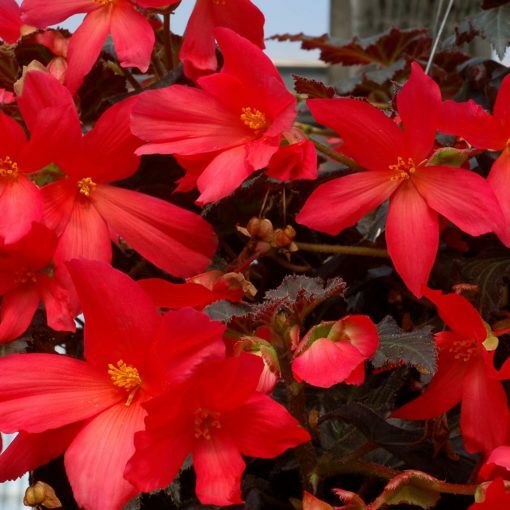 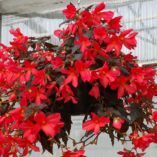 Begonia DAYSTAR™ Hot Coral | TERRA NOVA® Nurseries, Inc. 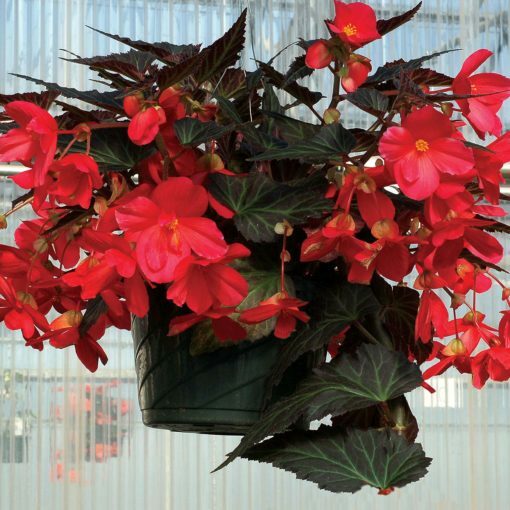 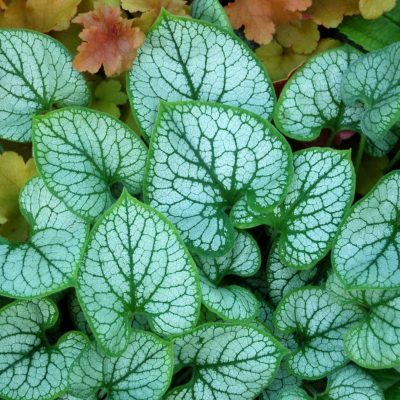 This lushly beautiful, trailing begonia has large hot coral flowers on continuous display. 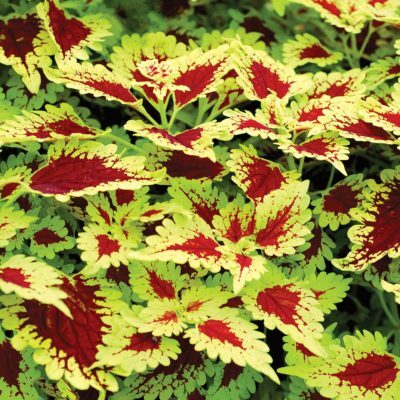 The flowers are well set off with the dark and patterned foliage. 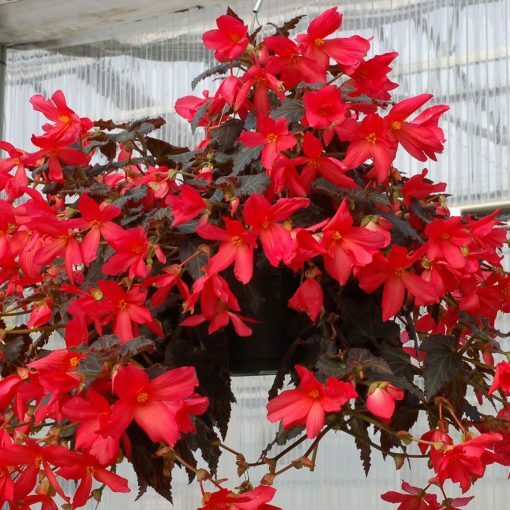 Good for hanging baskets. 24" / 16" / 8"
Trailing + dark and patterned leaves + large dark coral, single flowers. 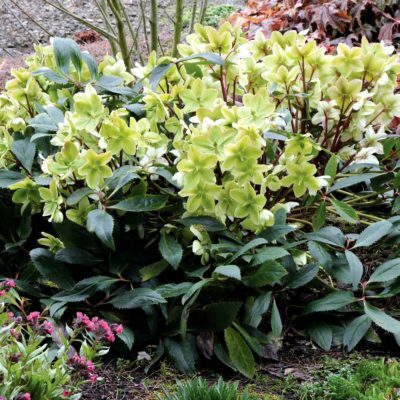 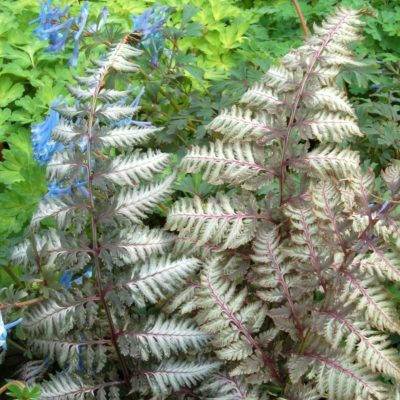 Use as a hanging basket, a houseplant, in mixed containers, or in summer borders in shade.